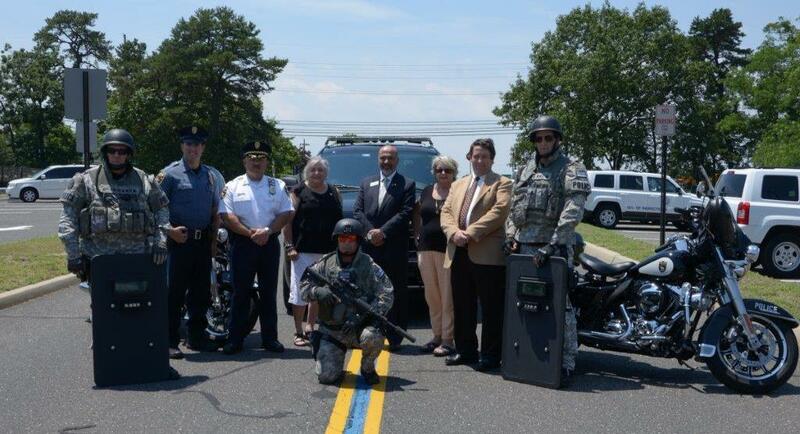 Pictured above is members of the Brick Township Police S.E.R.T. Team , along with Patrolman James Albanese, Chief James Riccio, and Members of the Brick Township Rotary Club–Joyce Van-Haeren, Mark Blasam, Elizabeth Ackerman, and Dr. Kurt Meier. The Rotary has recently purchased new helmets for the police department’s motor unit, along with three new ballistic shields for the police department’s S.E.R.T. Team. The Brick Township Police Department would like to thank the Brick Rotary Club for their ongoing support and donations to the police department. The 33rd Annual Vest Fund Dance will be held on July 21, 2017, at 7:00 PM at the VFW on Adamston Road. Tickets are $30.00 dollars and can be purchase by calling 908-902-0393.